This summer I joined the Level Up Book Club. Level Up focused on gaming in education. I'm not a big gamer but my sons and students are so I wanted to learn more about gaming in education. 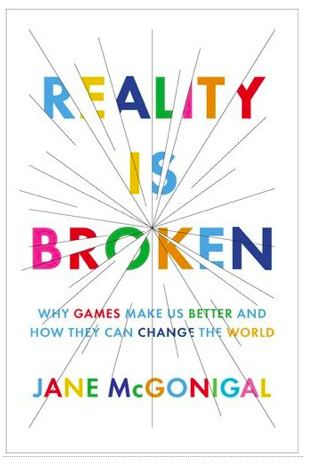 The first book we read and discussed was Reality is Broken by Jane McGonigal. During our June Twitter chat, I put forward the idea of creating a professional development game for my teachers. 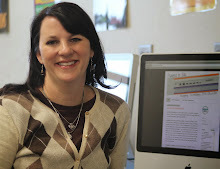 Another book clubber Tamara Cox ran with it and created Level Up Tech Quest. I'm a percolator so I spent the rest of the summer thinking about what I wanted our PD game to look like and how to deliver it. I had several pages of ideas and notes. During our staff development the week before school started we had a FedEx Day to work on anything we wanted. I worked on the game. I named our game Power House PD because we want to be a technology Power House. I decided on Edmodo as our delivery system. I chose 14 tasks and spaced them out over the year. They are roughly two weeks apart and allow time for holidays and testing schedules. I will post the challenges in our Edmodo group on Monday. The assignment postings will also contains directions for the task and how to get points for completion of the task. The tasks will be due on Fridays, generally two weeks after the assignment is posted. I am going to upload any documentation or directions they may need into the Edmodo library and attach them to the Edmodo assignment. In a nod to the three houses of the Three Little Pigs, teachers can level up to be Straw Houses, Stick Houses and Brick Houses. (cue music "She's a brick house"...) Besides being an individual competition, teachers can earn points for their departments as well. I created a Google Drive (formerly Google Docs) spreadsheet Leader Board. I try to update the spreadsheet at least every other day. I also put a paper Leader Board in the teacher's lounge. I'm planning on updating that one every Monday. So far, we've had one task and it's an ongoing one. (They can earn points the entire year for Tweeting certain things.) Our first task with a definite deadline will be posted on Monday! What do you think? What can you gamify? PS - if you'd like to check out our Edmodo group, tweet me. Or if you'd like help creating your own professional development game, let me know. I'd love to help! I think it's really exciting that you're giving this a go with PD. I am looking forward to hearing more about how it goes, and while I won't be trying it now (first year in this job) I am definitely going to gamify in the future! After aggregating this research, I came to the realization that we as teachers are professional students--we have mastered the learning process, and it is up to us to transmit that process to our students. This is way cool. Have your peers enjoyed your PD game so far?